These are a few of the ways I can save topographic maps to show on this blog: through MSRMaps (when it's working), through the USGS TNM 2.0 Viewer, and through the USGS Map Locator & Downloader. I can link to actual portions of MSRMaps and TNM 2.0 Viewer, but can't link to a downloaded USGS map, which comes as a pdf. 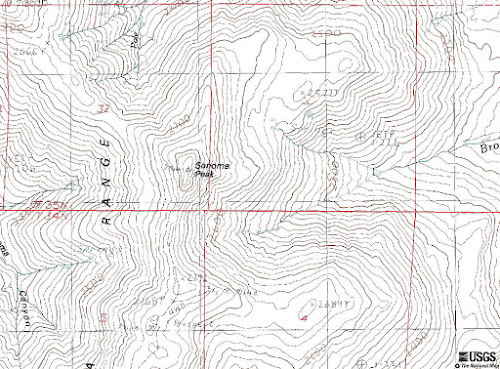 1) MSRMaps topo view (jpg) of Sonoma Peak, Humboldt County, NV. This image looks best to me on the blog, although it doesn't look as good as number 5, below, when enlarged. MSRMaps images are saved by hitting "Download" near the upper right corner of the map, then right-clicking to "Save As" a jpg. 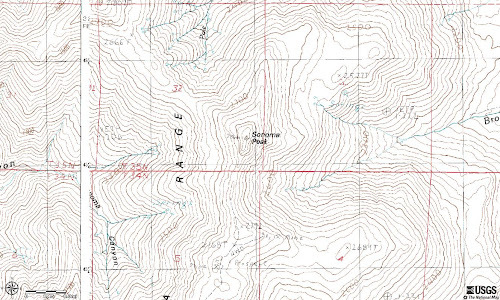 2) Same MSRMaps view sharpened (jpg). 3) USGS TNM 2.0 Viewer view (jpg) of about the same area, cropped from original widescreen view (see last two images). TNM jpg images number 3 and 4 both look kind of blurry or washed out to me, whether enlarged or not. 4) Cropped TNM 2.0 Viewer view (jpg), sharpened. 5) Cropped TNM 2.0, png version. Not sure why image number 5, above, has a darker background; it looks nearly white when enlarged. I think this is the best version when enlarged, and the second or third best version on the blog when compared to images 1 and 2. 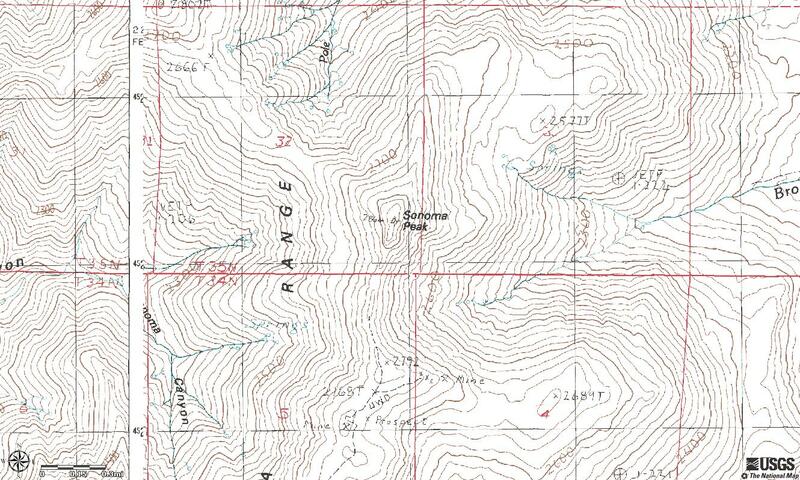 6) Saved portion of Adelaide, Nev 1983 7.5' topo map, from the USGS Map Locator & Download, a png made from a pdf. The image above looks rather washed out to me; it also appears to be more colorful. 7) Original USGS TNM 2.0 Viewer view (jpg) of about the same area, wider east-west than north-sourth. Somehow the TNM Viewer doesn't get the west edge of the Adelaide 7.5' quad quite aligned with the east edge of the Sonoma Canyon 7.5' quad! 8) Same TNM view as previous, but now saved as a png. I think the png view of this last set looks a little better, especially when enlarged. To save TNM images, hit the little printer icon in the upper right area of the screen, then choose from pdf, jpg, or png versions. Then wait a bit, then hit "Link," which opens a pdf, jpg, or png in another browser page. One saves from that page, either through the regular pdf route, or by right-clicking and "Save As." A pdf of this particular map can be seen here. The TNM 2.0 Viewer has a lot of useful options, which you can explore further on your own. All maps shown here are courtesy of the USGS. Location: Brady's Hot Springs, NV, USA. 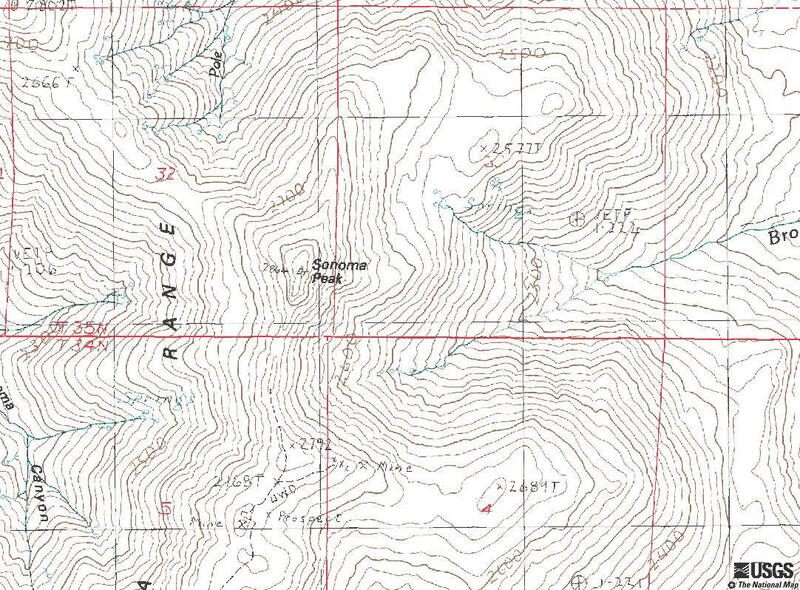 Clicking on the location link on that post (and on the link above) will take you to Google Maps and a map view as shown below, except there will also be an orange "A" pointing to my chosen location for Brady's Hot Springs. Zooming in on the map (from the link on the original post and from the above link) will take you to the exact location I chose. When using the location tag in the blog editor, I can search for a location or zoom in on a small map or satellite view provided through Google Maps. 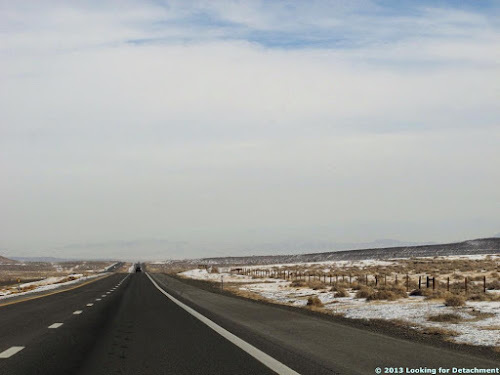 Often, the searching tool won't take me where I want to go, or it will only get me to someplace approximate (like Nevada in general, instead of some specific spot or mountain range), and it will sometimes take me to some entirely erroneous place. I can instead just zoom around and drag the location marker to the spot I want, a spot that can be as exact as the largest zoom level shown on Google Maps. At that point, I can add any label I want to describe the location, instead of being stuck with a generic label generated by the small version of Google Maps . Older posts, those created before I was using this feature, have the potential for having location added—and I've currently added them back through about the beginning of March, 2010. Not all posts have or will have locations; these include posts with multiple locations (year-end meme posts, for example), posts that are mostly about ideas, posts where locations would show where I live, and some posts that might show specific locations for my work sites. 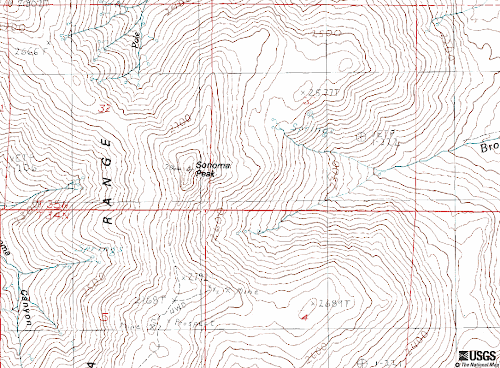 Prior to the advent of Blogger's location tag, I relied heavily on MSRMaps and The National Map 2.0 Viewer by the USGS for links to locations and on Google Maps for embedded views. I will still be using these, although MSRMaps has become fairly intermittent since their shut-down announcement, despite being kept online past the original shut-down date. 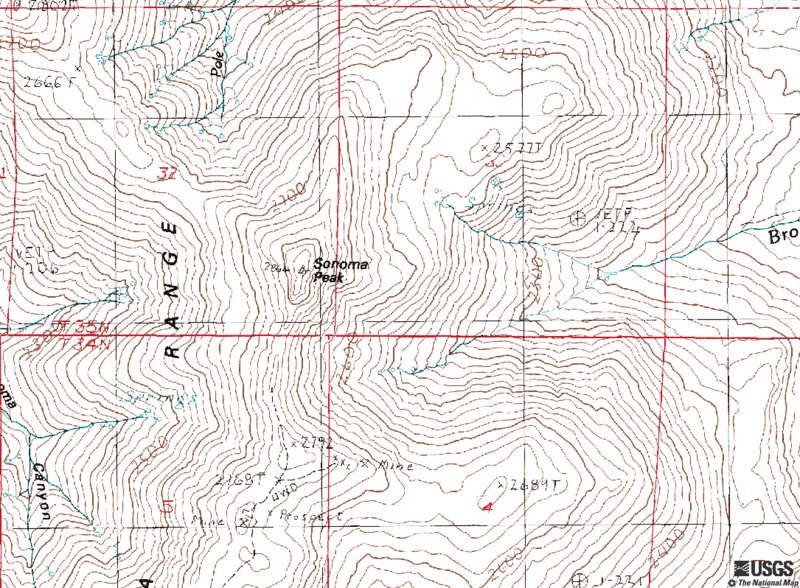 I like MSRMaps' versions of topo maps better than the TNM 2.0 Viewer's: MSRMaps has thicker topo lines and has a square-ish rather than heavily east-west elongate viewing space. 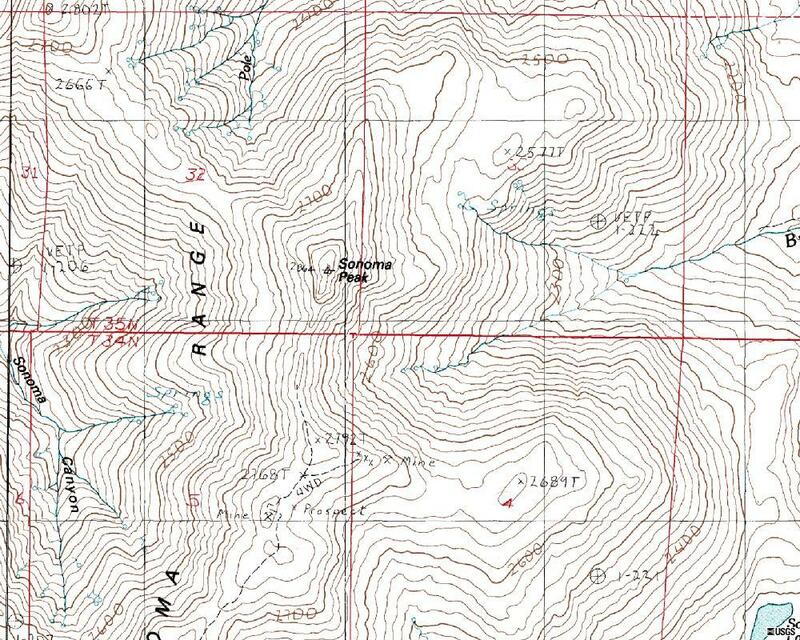 I also like the MSRMaps use of map scales better than that of the the TNM. P.S. Many older posts were reformatted by Blogger's switch to the new editor. Blogger/Google modified the way they parse older HTML, and going into edit mode on those older posts further modifies the HTML. I have changed the formatting for some of my more popular older posts, but not for very many posts older than January, 2012. I find this part of the new editor very irritating. P.P.S. I sometimes want to list bizarre names or places for locations, like "None" for this post. Searching on "none" in the small map in my blog editor, I get a small lake in Mississippi, linked to below for your amusement. And if I want to use something like "The West" or "western U.S.," I have to come up with my own location point for the linked-to map. I look for and find small to large areas on and under the ground: lands and rocks that have something we want, something that we will mine if we can make enough money. First, we drive or fly into an area of great promise, so we can put small and large rocks into bags. These rocks in bags are sent away so we can find out what they are made of, so we can see what the numbers will tell us. If we like what the numbers say, then we walk around the area of interest making notes and drawing lines in our field books and on large pieces of paper, and searching, always searching for the right signs. After that, if the signs are good and the numbers from the rocks are even better, we push long, round, empty spaces into the ground and pull out rocks to place in bags or boxes, all so we can continue to find out what the rocks are made of. Then we go back out into new areas to look for more rocks that can make us some money (or rocks that we at least like, because we all like rocks, except maybe for the men and women who really like numbers and computers). Permalink for this description of what I do as a mineral exploration geologist at The Up-Goer Five Text Editor. Meme directive from Ann and Chris at Highly Allochthonous: Go to the Up Goer 5 text editor and explain your research or discipline in the 10 hundred most common words. Ten Hundred Words of Science: a compilation of many of these descriptions. When we got back from Alaska after Xmas, northern and western Nevada was locked into a classic mid-winter high-pressure system, with a surface temperature inversion creating below average low temperatures on the valley floors (and higher temperatures in the mountains and at local ski resorts, something we did not actually check out this time). 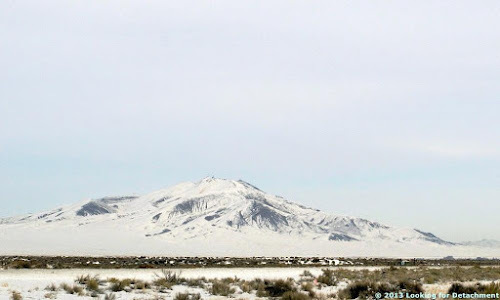 Classic Great Basin inversions with severe Pogonip events in the past have had people skiing in shirt sleeves in essentially spring skiing conditions (slushy snow) on Mt. 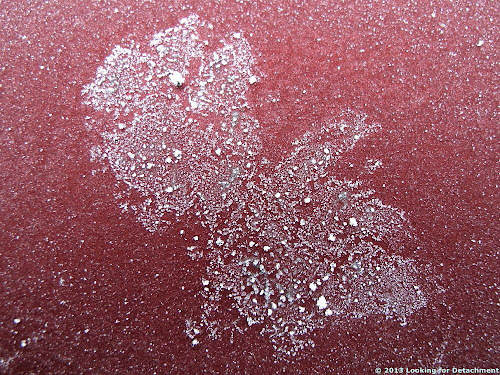 Rose, while temperatures in the valley were -20°F or lower. In fact, because of the Chinook that came in while we were up north, temps in Nevada were considerably colder than they were in Alaska. Reno was running lows of 10 to 16°F and highs of 30 to 33°F while Anchorage ran lows of 21 to 33°F and highs of 30 to 43°F. Our destination location, which we drove to on I-80 on January 5th (photos below), was having lows of -10 to -16°F and highs of 17 to 22°F. 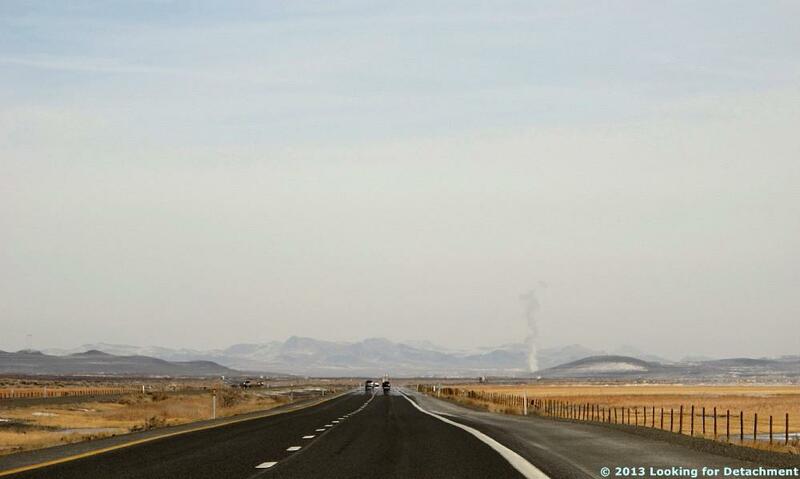 Looking northeast along I-80 and the Fortymile Desert. 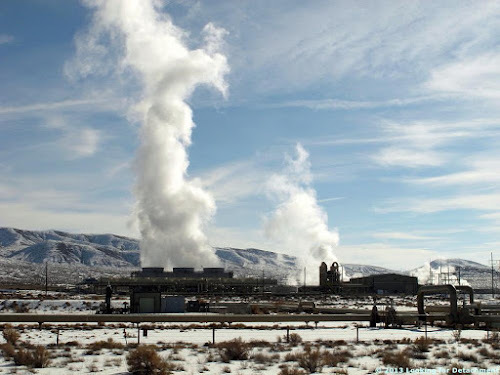 Steam from the geothermal plant at Brady's Hot Springs is rising straight into the air, one hallmark of high pressure and inversion. The low hills of the Hot Springs Mountains fade into a smoggy haze. 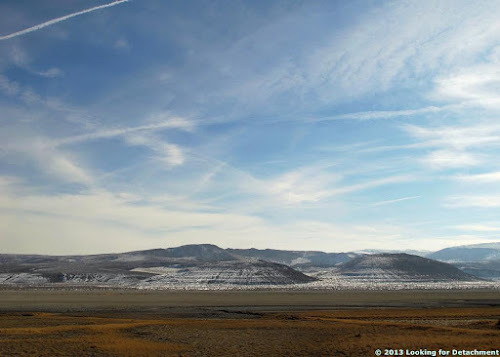 Wave-cut terraces of Lake Lahontan are enhanced by the thin snow cover. 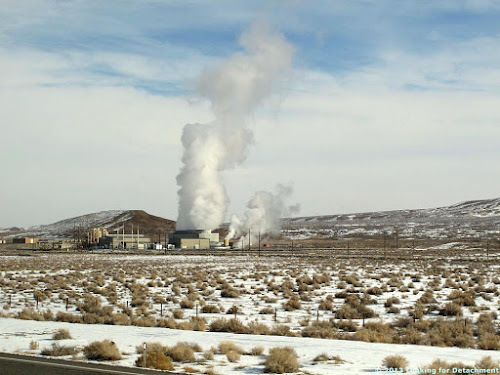 Approaching the geothermal plant at Brady's Hot Springs, AKA Nightingale Hot Springs (see location at the end of the post). A closer view of the steam from the geothermal plant at Brady's Hot Springs, which is mostly used to roast or dry onions. By the way, although these hot springs are among the hottest in Nevada, at 83 to 98°C (181 to 209°F), they are entirely private, and can't be accessed by the likes of you or me. The Nightingale Hot Springs Exit provides access to the geothermal plant and a nearby fossil collecting area. toward the West Humboldt Range. 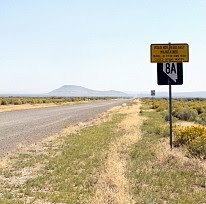 The Humboldt Range is about 6 miles distant on the far right of the photo, beyond a dark, gently sloping hill, and is about 34 miles distant looking straight down the highway. Looking south toward the east edge of the Hot Springs Mountains on the right, and at the hazy, fading Stillwater Range beyond the Carson Sink, center and left. 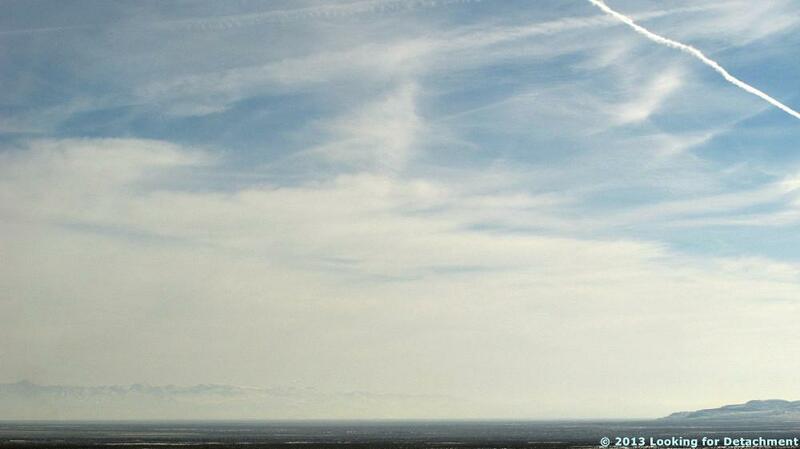 the hazy Stillwater Range in the far distance about 35+ miles (58+ km) away. Location of the tufa mounds, from the USGS TNM 2.0 Viewer. The hazy day didn't make for optimal photos: snow on the ground was bright white, the mountains in the distance were hazy white, and everything blended together. 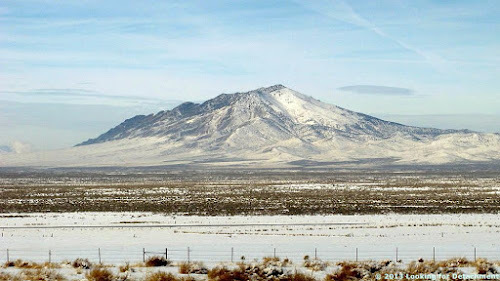 Finally, approaching our northern Nevada destination, the closer mountains offered bits of photogenic opportunities. I'll have to update my song about Blue Mountain, as it obviously becomes covered with snow in winter time! After a few days, the high pressure and accompanying inversion dispersed, and light to moderate snowfall came into the area. And now, the cold valley temperatures are back: it was -15°F this morning at the airport, though only -4 or so at our banana belt location. As per the National Weather Service, "LOWS AT NIGHT WILL GENERALLY RANGE FROM 5 TO 15 BELOW ZERO WITH DAYTIME HIGHS OF 10 TO 20 DEGREES" into the forseeable future (link to this statement is probably not a permalink). 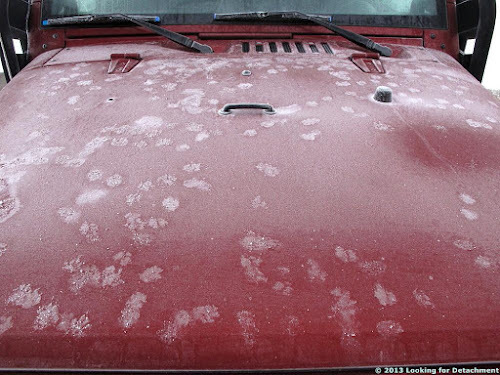 I'm not much of a cat blogger, but I saw paw prints in the making the day before yesterday, when a couple kitties jumped up on the jeep right after it had been washed, leaving dusty prints all over the hood! 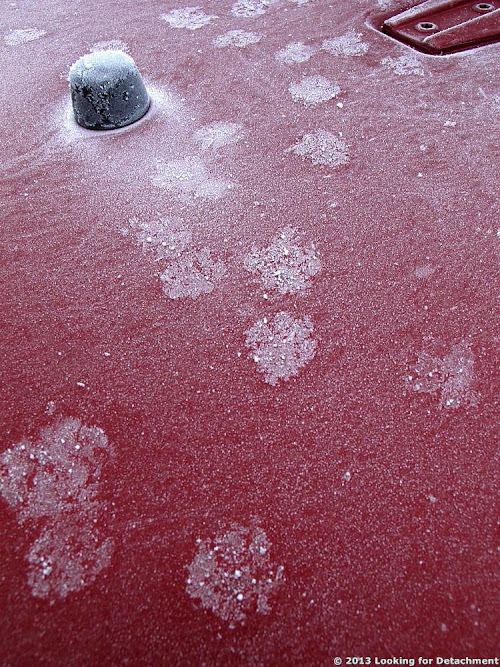 The kitties were, apparently, interested in drinking water from the bowl-like indentations where the windshield wipers swivel, because all other water that afternoon was in the form of snow and ice. 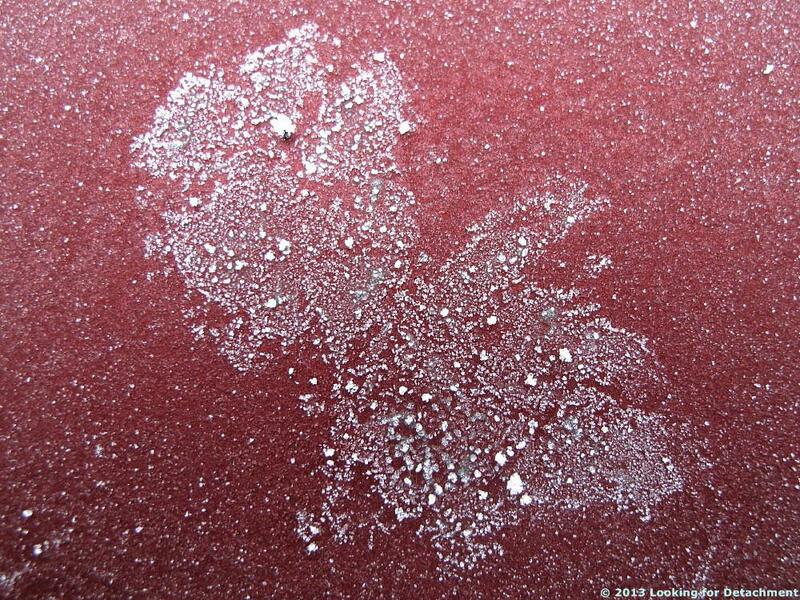 Frozen cat prints on jeep hood. Little ice crystals comprise the frozen prints. As Jim Lehane recently noted, ice is the solid, crystalline form of water. Ice crystals are hexagonal; the ones on my jeep were too small to examine without my hand lens — and I didn't stay outside long enough in the icy morning air for that! 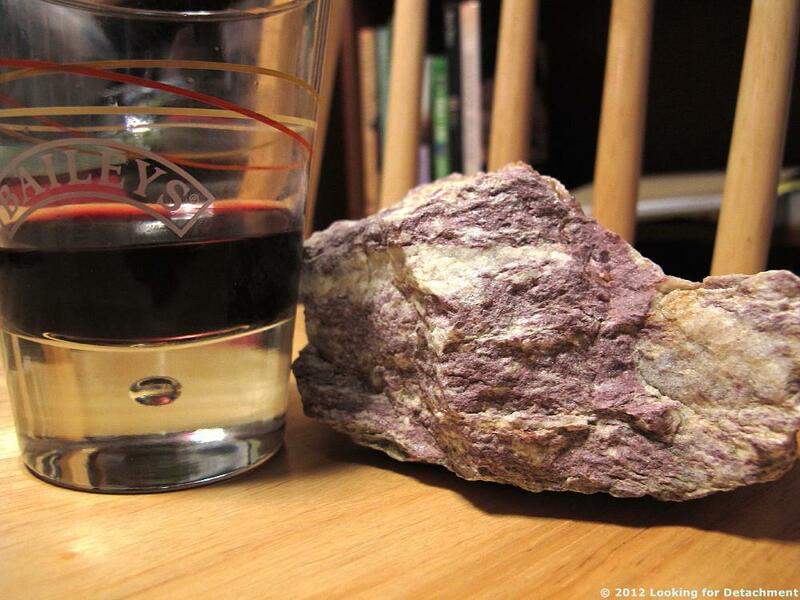 These various rocks had been lying around on my kitchen table for weeks when I decided to photograph them together, along with a Bailey's glass filled with wine and an empty Alaska cup. 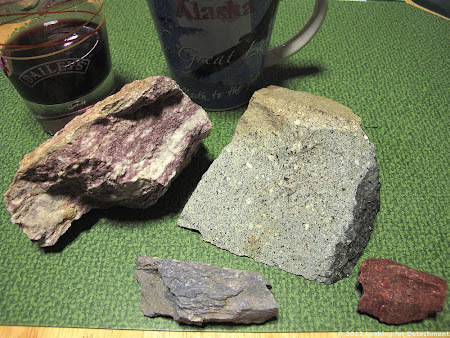 Clockwise from the Bailey's glass: dumortierite-sericite schist with rose-colored dumortierite, greenish dacite porphyry from the Osgood Mountains, reddish volcanic rock from the Midas area, and lavender dumortierite schist. The dumortierite-sericite schist is a from the Champion Mine area, located in the Rochester mining district of the Humboldt Mountains, Pershing County, Nevada. Dumortierite-sericite schist, composed mostly of dumortierite, sericite (AKA fine-grained muscovite), quartz, and possibly andalusite. 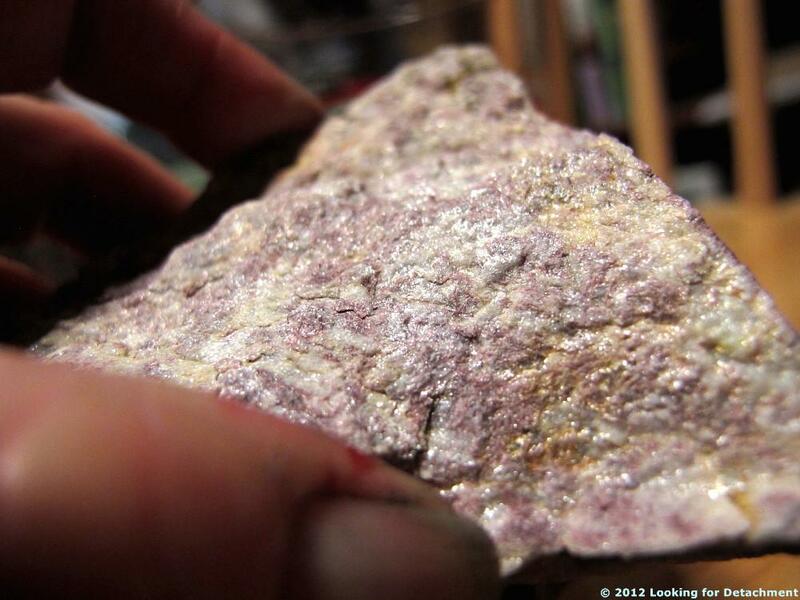 Sheen from the fine-grained, clear to white sericite (muscovite) on foliation planes and disseminated in the schist. I found this one piece of lavender dumortierite schist on the ground below the chute of the ore bin between the upper and lower Champion Mine workings. 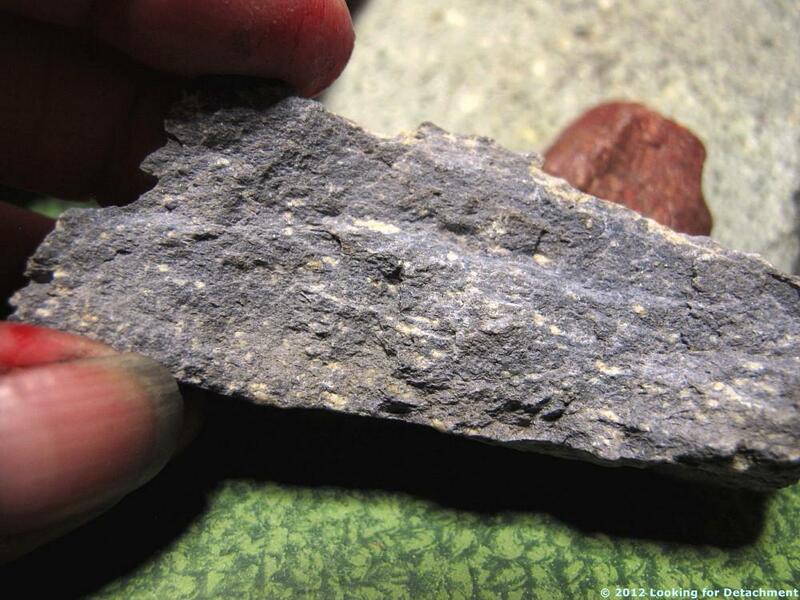 Dumortierite has been mined for use in making refractory ceramics such as those used in spark plugs. It is sometimes used as a gemstone (or rock), and the blue varieties have sometimes been used to make fake lapis lazuli. 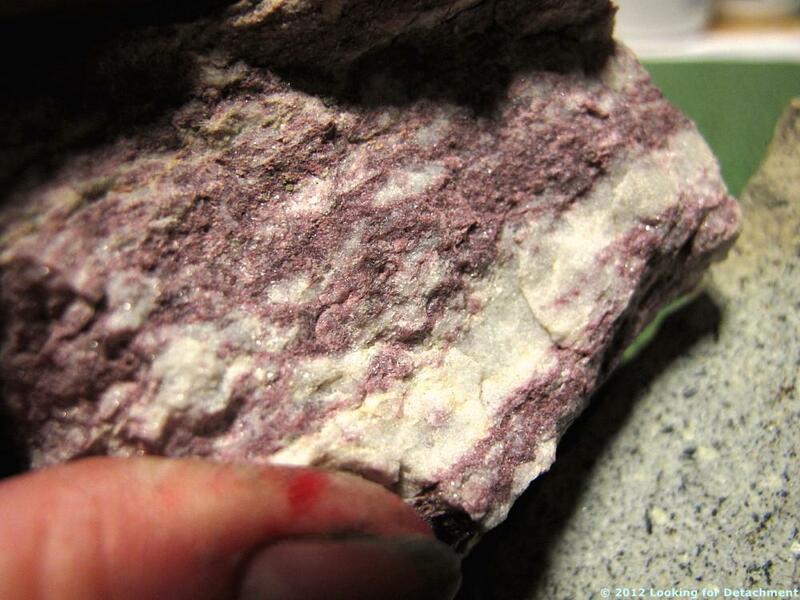 By the way, these rocks are currently unlabeled. Andrew Alden has a good post up recommending that everyone label their rocks and minerals (with name and location or provenance). I will be able to label precisely all but the reddish volcanic rock. Mackay School of Mines staff, 1928, A bulletin by the Mackay School of Mines staff on the mineral dumortierite, University of Nevada Bulletin, vol. 22, no. 2: Nevada Bureau of Mines and Geology Bulletin 8, 47 p., including 1 oversized page. About two days after our first hike while we were up in the northlands, a Chinook wind came up, blowing from the southeast across the Kenai and Chugach Mountains toward town. Temperatures rapidly went from the mid-teens to about 35 to 45°F. 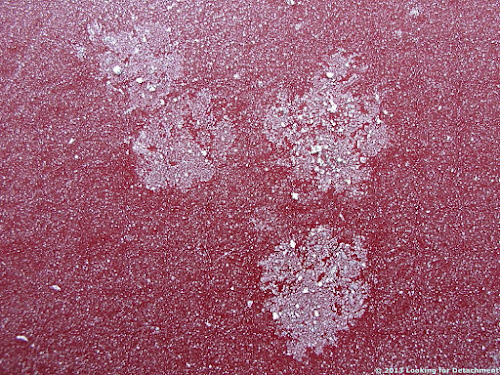 The main roads became icy, then slushy, then dry, with back streets turning into solid glare ice for several days. I prefer temperatures to be at 20°F or lower when driving on icy roads. 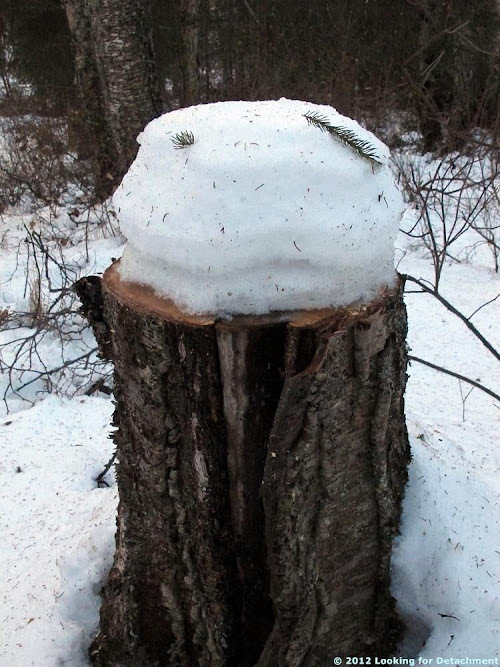 Tree stump with layered corn snow. 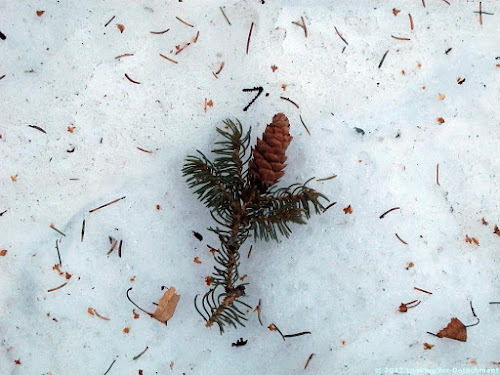 On our hike that first Chinook day, snow in the area was melting, turning from a dry, powdery snow to an icy corn snow. 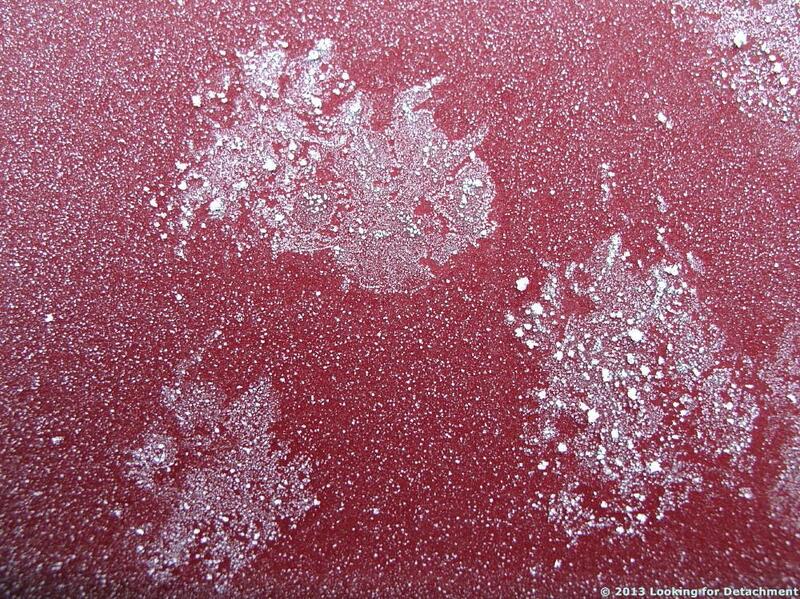 We could see layers in the snow, counting eight on one flat surface. 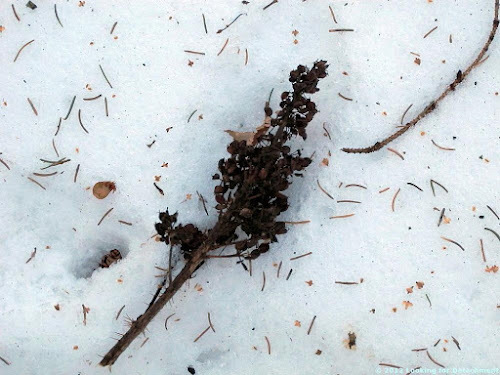 Tree litter, dominantly from black spruce but also from birch, lay all over a snow surface pockmarked by rain drops and drips from tree limbs and branches. Spruce twig and cone on pockmarked snow. 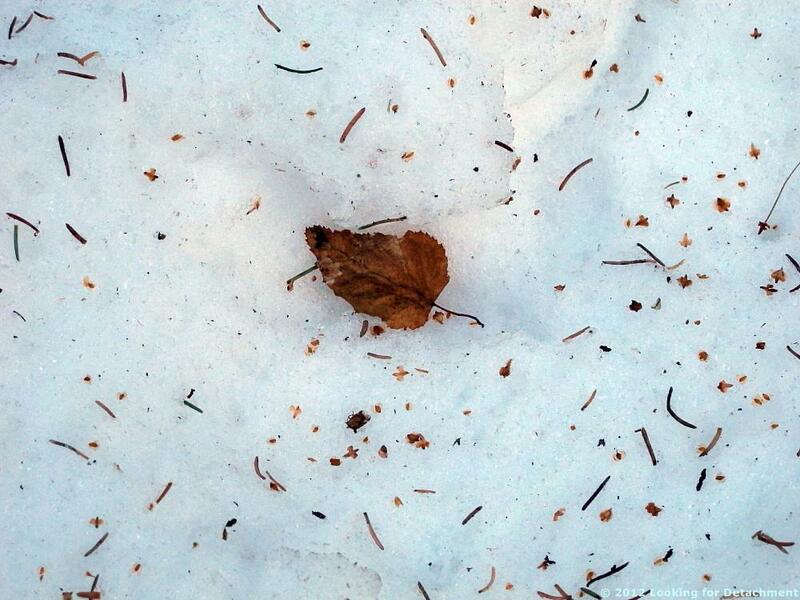 Dried birch leaf and other litter on snow. Dried Devil's club branch or flower on snow. We hiked on the trail with metal chains on our boots. The chains iced up frequently, making walking awkward. Overall, it was quite a different scene than the hike two days prior. An aside: Wind directions recorded by the Weather Underground don't make any sense to me, unless they show the direction the wind is blowing toward, opposite from standard protocol. Their recordings indicate winds shifting from being generally easterly to being variable and generally westerly to northerly. Screenshot from Census dotmap by @ewedistrict and @kieran. The dotmap highlights the lack of people living inside the Great Basin. 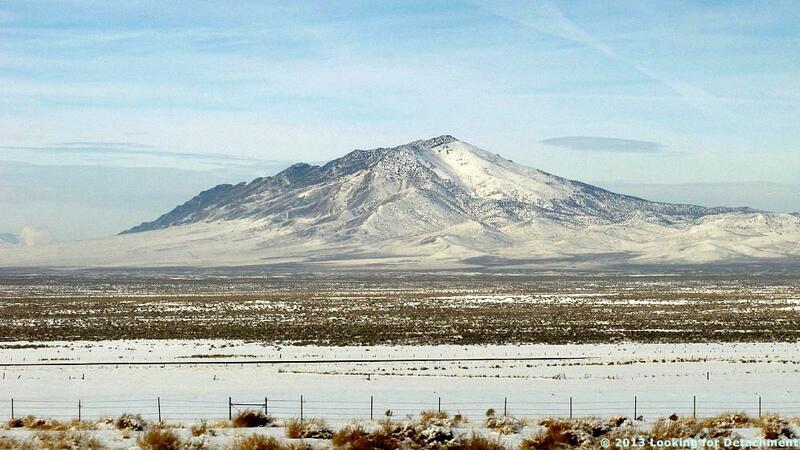 Instead, the bulk of the population is outside, or is located around the edges (Salt Lake City, Las Vegas, Reno). The northern boundary of the Great Basin is vague in the dotmap view, but the Snake River Plain to the north of the Great Basin's northern edge is easily identified. 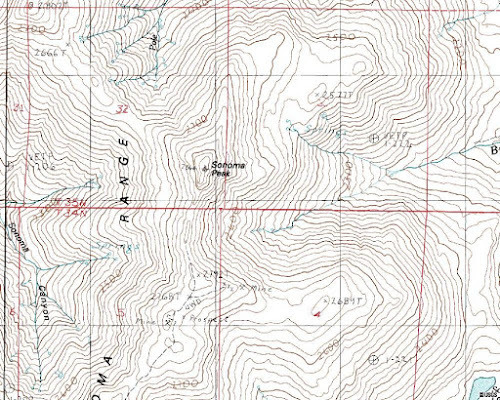 The northwest and southwest boundaries, near Goose Lake and Death Valley respectively, are also somewhat vague on the dotmap. Greatbasinmap by Kmusser [CC-BY-SA-3.0], via Wikimedia Commons. 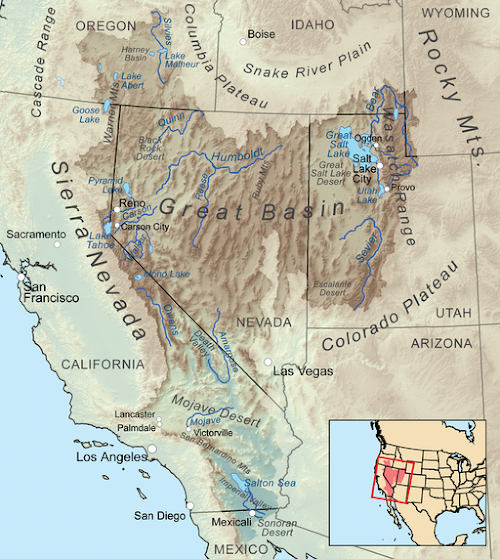 Great Basin in magenta, from National Park Service. Because of the vagaries of stat reporting (in this case, by Google Analytics), I'm listing the both the top ten posts for the year (in large font, with respective Top Ten number), and the top two posts for every month (non-ten-rated posts are in a smaller font). One reason for going on to listing the top two posts per month (or four posts in one particularly popular month, February), is that post ratings for the last few months of every year, as indicated by stats, are not as reliable as post ratings for earlier in the year (ratings are not static and change as time goes on). As usual, the year started out with a bang. Some of the tapering of top posts (and certainly all of the tapering of my number of posts per month) resulted from me not having as much time to blog starting in mid-March or so; some of the apparent tapering of top posts is a result of the way stats accrue per post, with the last three months of 2012 garnering zero Top Ten posts so far, but maybe one or two of those posts will actually make it into the Top Ten by the middle of next year. Also, FWIW, I have noticed quite a drop in blog hits over the last two months, starting with NaNoWriMo, when presumably everyone was writing, and perhaps fewer people were reading. And so, here are the Top Ten posts, with a few extras so that each month shows at least the top two posts for that month, giving us a total of 26 posts.